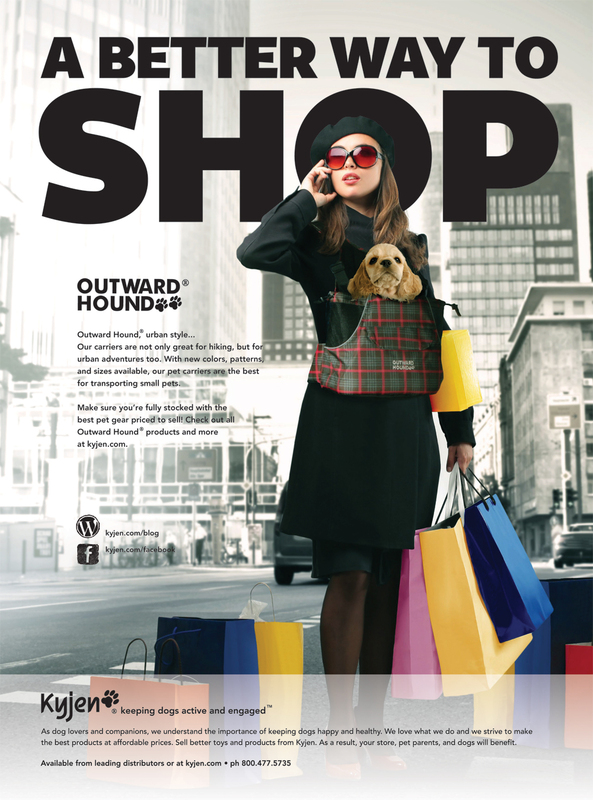 “A Better/Different Way To…” became the main focus of all Outward Hound/Kyjen Advertising Campaigns in 2010-2011. New lifejacket designs were created by Nicole. She spearheaded the sampling and manufacturing projects overseas. 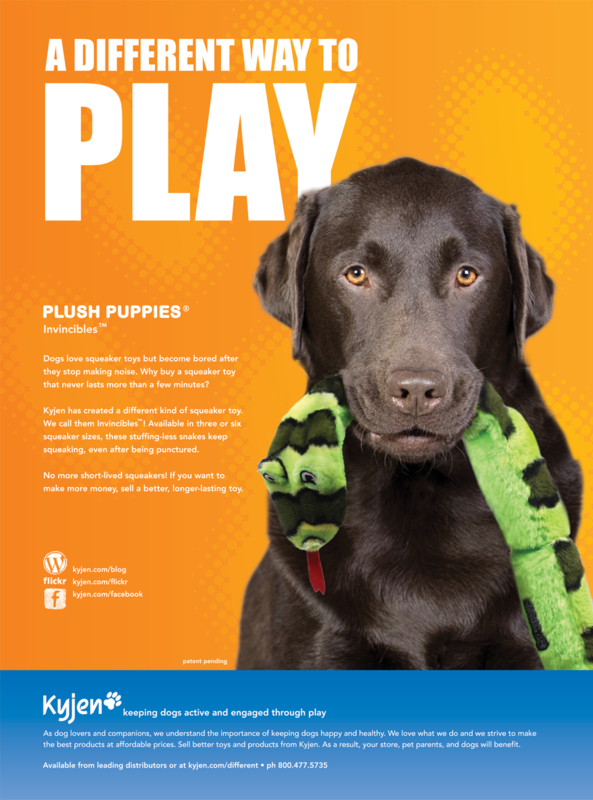 Copy was carefully crafted for each product showcase. This lifejacket was soaked in water and shot in the studio. It was photoshopped onto the dog, later. 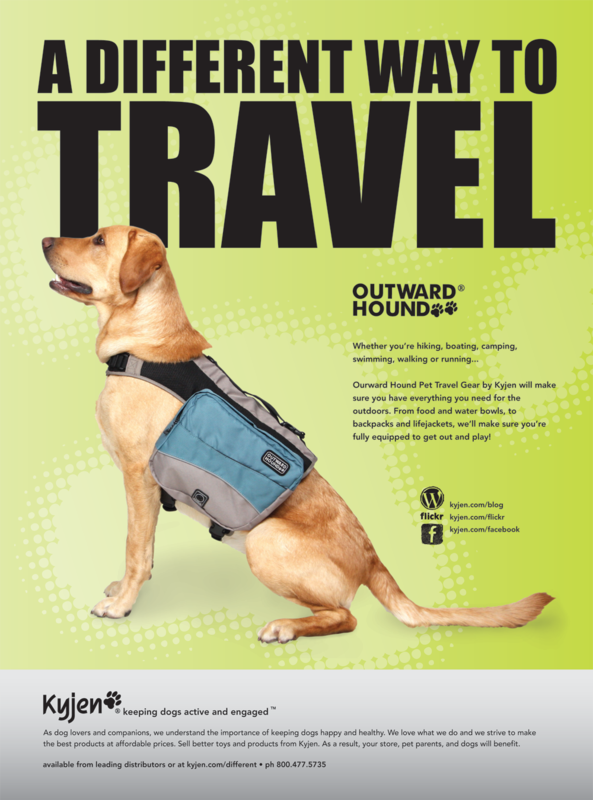 This backpack was photographed in the studio on another dog. It was photoshopped onto this image, later. This carrier was photographed in the studio. It was photoshopped onto the person, later. This dog was originally holding a rawhide bone in its mouth. 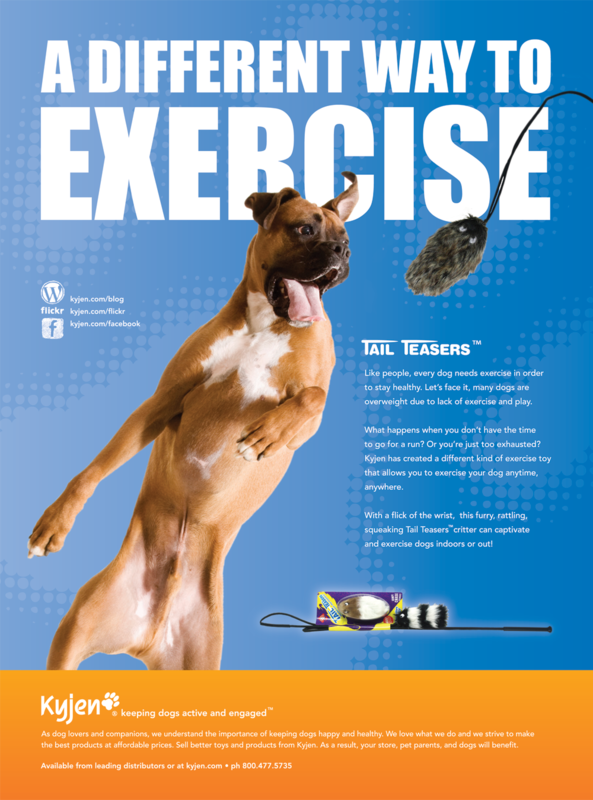 We photographed the toy in the studio and photoshopped it into the dog’s mouth, later. 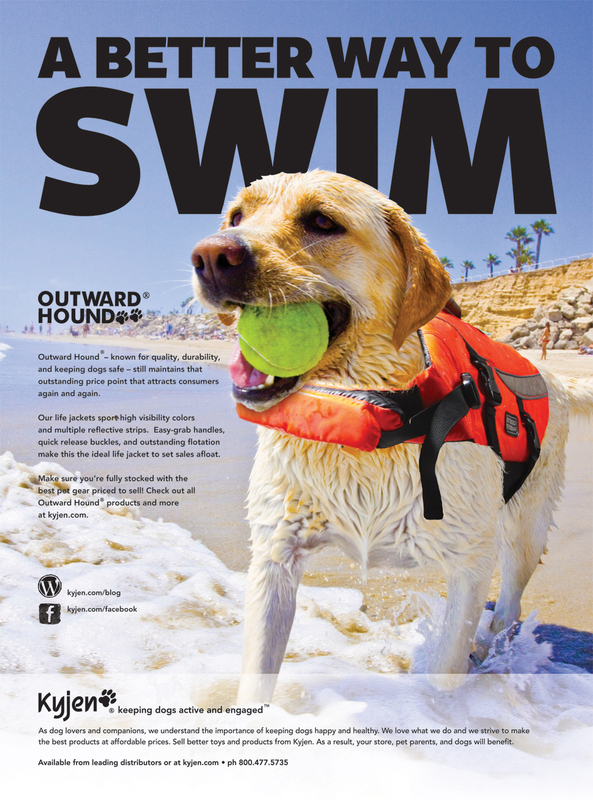 Advertisements and new branding were developed for Kyjen (Outward Hound). 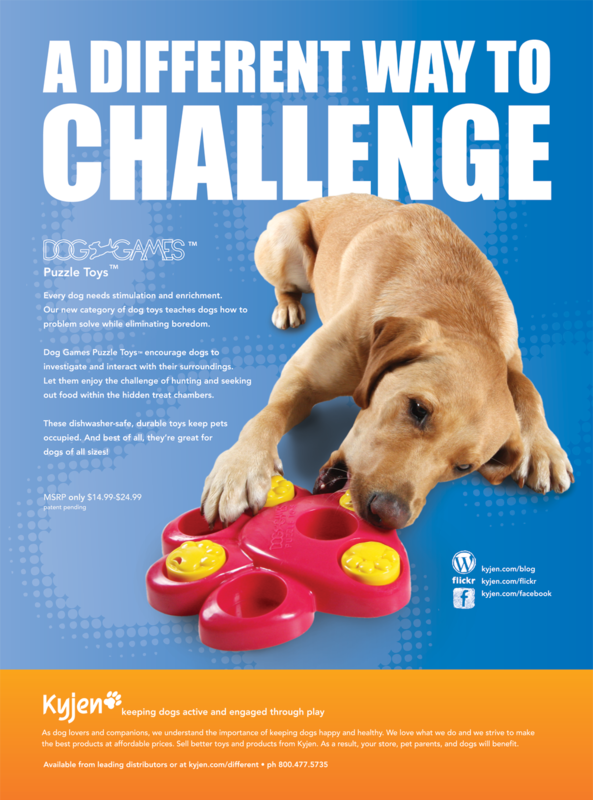 Many ads such as these were featured in Pet Business, Pet Age, and Pet Product News Magazines in 2010-2011. Products were redesigned and launched in Spring, 2011. 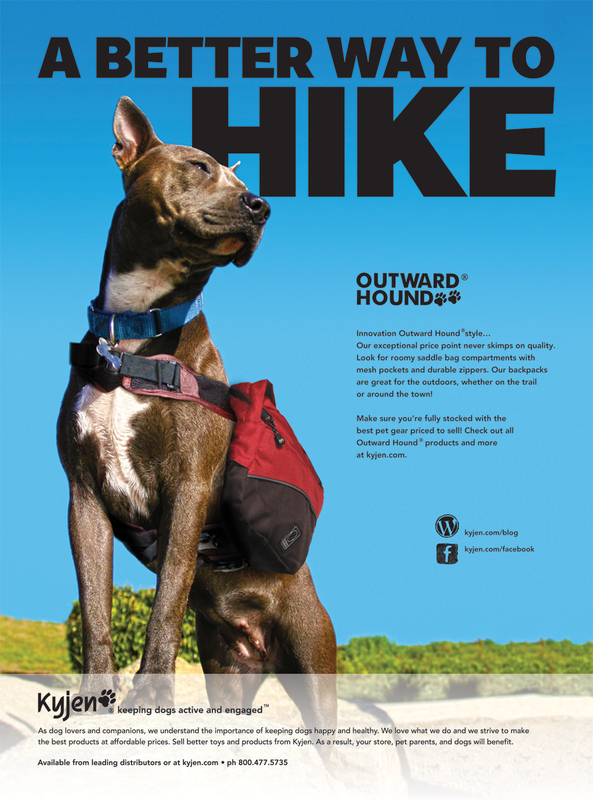 Nicole designed over 20 new outdoor dog products.